Question 1: What is/are your favourite series' to watch on Netflix? I'm not too sure whether I can narrow this down to just one so I'll list my favourites: Gossip Girl, The Originals, Dexter, American Horror Story and Pretty Little Liars. Question 2: What are you currently watching on Netflix? Gotham, Ru-Pauls' Drag Race and also just watched ‘Blackfish’. Question 3: If you could have any series, old or new, put on Neflix; what would it be? Question 4: What is your one pet peeve about Netflix? Question 5: What are your essentials for a perfect night in with Netflix? Cider, crisps, a comfy sofa with a blanket and candles! Series: Dexter or The Originals (TVD Fans especially). Films: The Help, The Purge, Filth, The Rise or Horns. Question 8: Did you discover something awesome because of Netflix? American Horror Story and Dexter. Question 9: If there was one thing you could add/change about Netflix, what would it be? Download ability to download a series/film to watch offline. 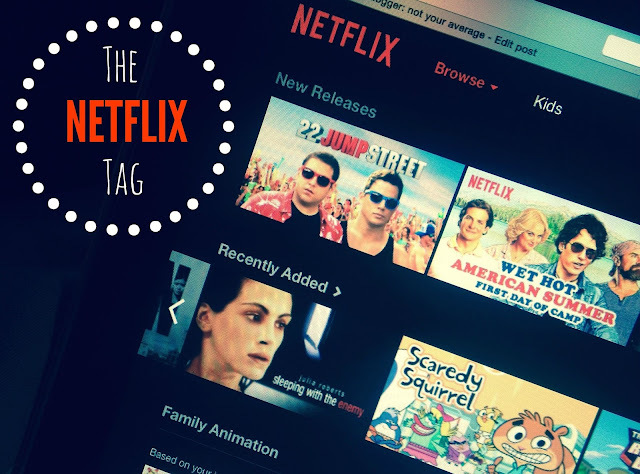 I’d love to read yours if you’ve done the NETFLIX TAG so let me know!